Complete your system in style with this superb selection of Home Theatre and Speaker Wall Plates. These wall plates allow you to conceal all those unsightly wires and cables with ease and provide the ultimate finishing touch. The 5.1, 7.1, 7.2 and 7.4 Home Theatre Wall Plates feature labelled inputs to make connecting your equipment as simple as possible. The banana sockets are precision made and can accept bare wire, spade terminals or banana plugs both on the front and rear. The RCA connectors will also accept a standard subwoofer (RCA) cable to be connected both on the front and on the rear. 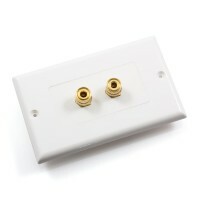 This 1 Speaker Wall Plate will provide your home theatre or hi-fi system with a clean, professional finish. Features easy to use precision made binding posts that can accept bare speaker wire, spade terminals or banana plugs both on the front and on the rear. 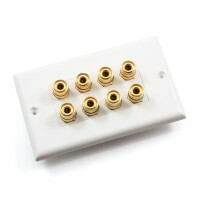 This 2 Speaker Wall Plate could be ideal for connecting that second zone or perhaps for a 2 channel stereo set up. With gold plated, precision made binding posts, you can be confident that you will achieve the best possible connection for your audio system. 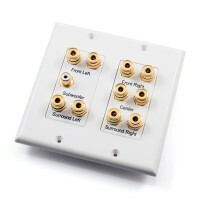 This 3 Speaker Wall Plate would be the right choice for connecting up to 3 speakers. 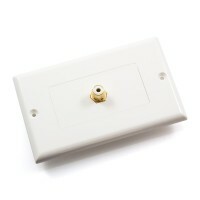 This wall plate is easy to install and features precision made binding posts that can accept bare speaker wire, spade terminals or banana plugs both on the front and on the rear. This 4 Speaker Wall Plate is the ideal choice for giving your home theatre that professional, clean finish. 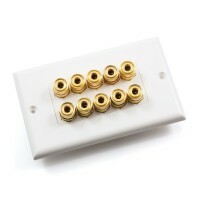 This wall plate provides the option to use bare wire, spade terminals or banana plugs. Installation is simple and will guarantee a secure connection. 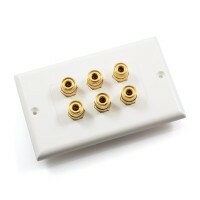 This 5 Speaker Wall Plate is great for concealing all 5 Speakers in a 5.1 home theatre system. The precision made binding posts offer the convenience of accepting either bare speaker wire, spade terminals or banana plugs both on the front and on the rear. 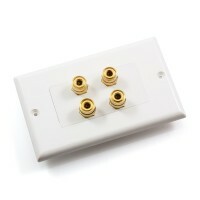 This Single RCA Wall Plate would make the ideal companion to our 5.1, 7.2 and 7.4 channel wall plates. Complete your home theatre project in style! 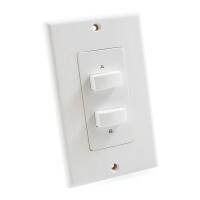 This wall plate accepts a standard RCA cable to be connected both on the front and on the rear. This 5.1 Speaker Wall Plate will provide the perfect finish. 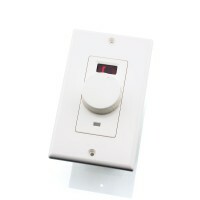 This wall plate features labelled inputs to make connecting your equipment as simple as possible. The binding posts can accept banana plugs, spade terminals or bare wire both on the front and on the rear. This 7.4 Speaker Wall Plate features labelled inputs. 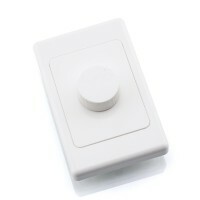 Supports a wide range of configurations including the ability to connect an extra zone. The binding posts can accept banana plugs, spade terminals or bare wire both on the front and on the rear. This 7.2 Speaker Wall Plate with HDMI features labelled inputs for all available connections. 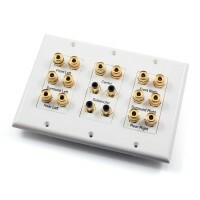 Integrate your HD Video and Audio system with this superb wall plate. Binding posts can accept banana plugs, spade terminals or bare wire both on the front and on the rear. 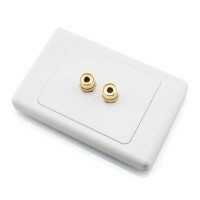 Obtain the perfect finish with this premium quality 1 Speaker Wall Plate. Features 1 red and 1 black banana socket to clearly identify correct polarity during installation. The connectors are precision engineered with 24k gold plating to ensure the best possible performance. 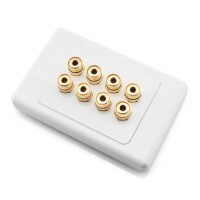 Obtain the perfect finish with this premium quality 2 Speaker Wall Plate. Features 2 red and 2 black banana sockets to clearly identify correct polarity during installation. The connectors are precision engineered with 24k gold plating to ensure the best possible performance. 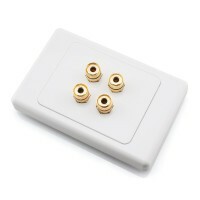 Obtain the perfect finish with this premium quality 3 Speaker Wall Plate. Features 3 red and 3 black banana sockets to clearly identify correct polarity during installation. The connectors are precision engineered with 24k gold plating to ensure the best possible performance. Obtain the perfect finish with this premium quality 4 Speaker Wall Plate. Features 4 red and 4 black banana socket to clearly identify correct polarity during installation. The connectors are precision engineered with 24k gold plating to ensure the best possible performance.